An unloader knee brace is one of several types of knee braces that can be used to provide stability, support, and pain relief if you have knee osteoarthritis affecting primarily only one side of your knee joint. This kind of knee brace is designed to transfer pressure within the knee, "unloading" one side of the joint to the other. In other words, an unloader knee brace does exactly what its name suggests—it shifts stress from the affected side of the joint to the healthier side of the joint. The unloader knee brace is a custom-designed brace made of molded plastic, foam, and steel struts to stabilize your knee joint, limiting side movement of the joint. It fits all the way around the leg at the level of your knee joint, allowing flexibility for movement. It's designed to put three points of pressure on the thigh bone, which forces the knee to bend away from the painful area of the joint. Some versions can unload either the medial (inner) or lateral (outer) part of the knee simply by adjusting the unloading hinge. About 27 million Americans have been diagnosed with osteoarthritis, a painful condition that usually affects the hands, knees, or hips. Knee osteoarthritis, in particular, has increased in the United States due to obesity. Most often, unloader knee braces are prescribed for people who have medial compartment knee osteoarthritis, which is arthritis that affects the inner portion of the knee. In these cases, knee instability can make the knee wobble toward the inside of the leg when walking. An unloader knee brace transfers the pressure away from the weak area of your knee to provide you with more stability. Again, this is only helpful if you have another healthy joint in the knee to assume the load. Studies show that unloader knee braces can delay knee replacement surgery if you have unicompartmental (only on one side) osteoarthritis. It is generally considered a cost-effective treatment that offers pain relief without side effects. It can also improve knee pain and stability associated with knee osteoarthritis after anterior cruciate ligament reconstruction (ACLR). Experts from the American Academy of Orthopaedic Surgeons (AAOS) have studied whether the unloader knee brace can objectively help people who have medial compartment knee osteoarthritis. Using criteria that include knee pain, stiffness, self-reported functional capacity, and physical performance, the AAOS recommendation for a medical compartment unloading knee brace is inconclusive. So while an unloader knee brace can allow some people with medial compartment knee osteoarthritis to delay surgery, it is not clear whether there any other benefits. Unloader knee braces can cost between $500 to $1500, on average. They are not always covered by health insurance, so you should check with your plan provider. There are several designs of unloader knee braces. If your doctor or physical therapist gives you a prescription for one, they will specify whether you can buy a brace or if you should order a custom-fit or custom-made model. Depending on your condition, you may need to have your brace specially ordered for you from one of the manufacturers. The manufacturer will request details about the size and function of your knee so that you can get the fit and features that are just right for your condition. If you begin to wear an unloader knee brace, know that they are usually used along with your other osteoarthritis treatments, not instead of them. Keep taking your medications, going to physical therapy, and following the instructions given by your doctor or therapist. Your doctor or physical therapist will provide you with instructions regarding how often you should wear your brace, situations when you must wear it, and situations when you shouldn't. On a more practical note, unloader knee braces can be bulky, so opt for loose-fitting pants, shorts, or a skirt. If you think that a knee brace could help your pain and mobility, discuss your symptoms with your doctor, who can help you decide whether a knee brace is a right for you and what type of knee brace would offer you the most benefit. The decision about whether you should use an unloader knee brace depends on the location and extent of your knee osteoarthritis. Your preference in terms of whether you want to try it plays a huge role in this decision, too. Jevsevar DS. Treatment of osteoarthritis of theknee: evidence-based guideline, 2nd edition. J Am Acad Orthop Surg.2013 Sep;21(9):571-6. doi: 10.5435/JAAOS-21-09-571. Lee PY,Winfield TG4,Harris SR4,Storey E,Chandratreya A. Unloadingkneebraceis acost-effectivemethodtobridgeanddelaysurgeryinunicompartmentalkneearthritis. BMJ Open Sport Exerc Med.2017 Feb 21;2(1):e000195. doi: 10.1136/bmjsem-2016-000195. eCollection 2016. Can Knee Braces Help Relieve Painful Knee Osteoarthritis? 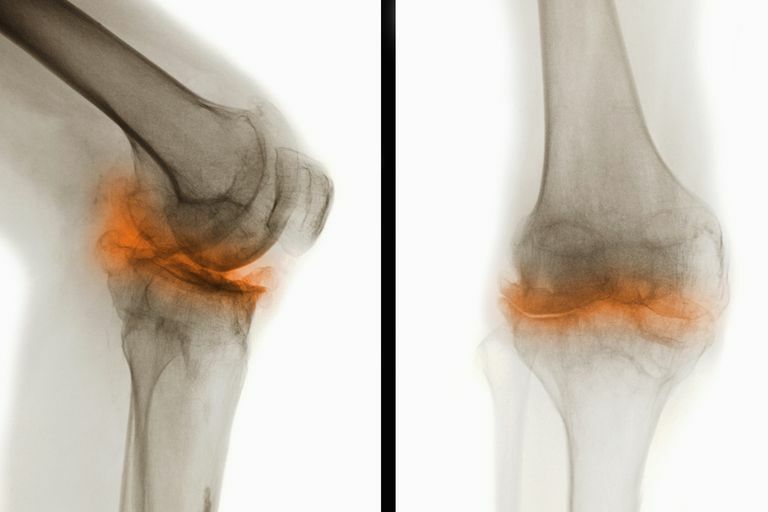 Does Decreasing Joint Load Help Knee Osteoarthritis? How Effective Is Heat or Cold for Relieving Osteoarthritis Symptoms? Do Loose Joints Cause Osteoarthritis?